Psychologist John Van Dreal has spent almost 30 years working with troubled kids. Still, it’s always unsettling to get the kind of phone call he received one morning eight years ago as he was on his way to a meeting. “I got a call from the assistant principal at North [Salem] High, reporting that a student had made some threats on the Internet,” remembers Van Dreal, the director of safety and risk management for Salem-Keizer Public Schools in Salem, Ore.
“There were a number of statements about hitting people with pipes, breaking knees, bashing heads with pipes and looking for help in doing so,” Van Dreal says. Van Dreal says students who saw the post were frightened. They told their parents, who called the school administration. Faculty and staff were worried, too, he notes. This particular student had been in trouble before, but this time it felt different. “They were definitely concerned and afraid,” Van Dreal says. The signs were serious enough, Van Dreal knew, that he needed to convene his entire threat assessment team — including representatives of the school administration, mental health professionals and police. He turned his car around and immediately headed to the high school. After the shooting at Marjory Stoneman Douglas High School in Parkland, Fla., last year, many schools received federal funding through the Stop School Violence Act to establish a threat assessment program to help prevent school shootings and other kinds of violence. Van Dreal’s school district has been using its own version of the approach since 2000 with good success in identifying kids in crisis and getting them off the path to violence. Threat assessment is essentially how the Secret Service responds to threats made to government officials and property, and it is increasingly being used by schools around the U.S. In the first hours, the multidisciplinary team gathers information from interviews with the student, the student’s friends, parents and teachers to evaluate the risk: Does the student have a plan to attack? Does the student have weapons? Is there a specific target? If an action or statement of intended harm is deemed serious, a school must act quickly to prevent violence and keep everyone safe. If the student making the threat has firearms, then the team works with law enforcement officials and the student’s parents to try to limit gun access. Once the concern about immediate danger has eased, the team digs deeper into the student’s background and psychological history: What is driving the student? What is the anger about? What is the situation at home and at school? Are there any underlying mental health issues? Studies have shown that students contemplating violence are often in some kind of crisis, and the best way to move them off that path is to provide support and supervision to solve the problem. When he was called in to investigate the case in 2011, Van Dreal and his team got to work immediately. Mishka says he had been furious that day because two of his friends had been beaten up by jocks not long before, in the boys locker room. “And my buddies got suspended for that,” he says. The threat assessment team concluded there was no risk of a school shooting in this case. The 17-year-old had no specific plan for an attack, had never used a gun and didn’t have access to one. The police confirmed that with his parents. For the team evaluating Mishka’s threat potential, it didn’t matter whether the injustices he described were real or not, explains Van Dreal. To calm him down, Van Dreal knew he had to get to the root cause of Mishka’s anger and understand how the teenager saw the situation. “He’s the one justifying the violence and I have to get behind that and see why,” says Van Dreal. As the team interviewed Mishka, his friends, family and teachers over the next couple of days, a fuller picture emerged. Mishka’s struggles had begun years earlier, the team learned. A boy had come up to him in middle school and tried to pick a fight, Mishka says. The physical damage done to his eye that day is undisputed. Mishka’s vision began failing, and it affected his schoolwork. “It literally felt like I was swimming in dirty water, a dirty pool,” he says. Over the next two years, Mishka says, he was in and out of surgery. Even today, the two eyes look different — and he can’t see out of his right eye. He got angrier and angrier. “I was not happy with the hand I was dealt,” he says. He felt that the adults in his life had failed to protect him. As the vision issues made school more challenging, he was failing classes and felt picked on by other kids. In seventh grade, he says, some boys jumped him, and they were suspended. He says he ended up with an abdominal injury and more surgery. By the time he got to high school, Mishka was primed to see injustice. He didn’t think his teachers helped him or other students who struggled. He believed the jocks were treated better. And he was willing to right these wrongs himself. Still, the team’s interviews with Mishka and others revealed another side to the teen. His family was supportive, and some of his teachers liked him. They spoke of a sensitive, gentle person who was smart and eager to learn — able to think rationally. These factors gave the investigative team hope that with the right kind of help, Mishka could be turned away from violence. But Mishka was too angry at the time to think rationally, and the situation was “headed toward a potentially violent outcome,” says Van Dreal. He and his team had to find a way to defuse the situation. “If I’m going to change anything in his situation, arguing with him about whether or not North [Salem High] was as unjust as he thought isn’t going to be constructive,” he says. What Mishka needed was “a reset,” the team decided. The young man would get a second chance but in a different environment. A couple of weeks after Mishka wrote that Facebook post his senior year, the district transferred him to Roberts High School, an alternative school with fewer than 100 students, where he could get more individual attention. That’s where Mishka found his first real mentor — Stanley Roberts, a behavioral analyst at the school, who works one-on-one with students. Roberts says he remembers watching Mishka in those early days. Mishka began to stop by Roberts’ office, to talk about things that had been bothering him for years. “It started out with a young man trying to prove himself,” says Roberts. Mishka seemed angry at the world. Roberts says he also gently pushed back on Mishka’s dark views. He would ask the young man if he truly wanted to be the guy who is angry and fighting all the time. Mishka believes Roberts turned his life around. He was a resource — a coach. “If I need to turn to someone and say, ‘Hey, what do I do now?’ there’s someone who says, ‘Hey, this is what you do now,’ ” says Mishka. Mishka graduated from high school on time — no longer the angry kid he had been. Today he has a full-time job working for a security firm. “Threat assessment” is just the emergency response arm of a bigger preventive approach, Van Dreal explains. Schools can do a lot to reduce the risk factors for violence, too, by improving the social and emotional environment and tone of the place — not tolerating bullying and harassment, for example, and ensuring fair and limited disciplinary measures. Van Dreal says that is how you move kids away from violence — by creating safe environments and fostering solid connections with positive role models. Some students may also need mental health care, or other extra layers of support, Van Dreal says. But in most cases, he has found, providing the student with just one positive relationship with an adult the student trusts can work wonders. 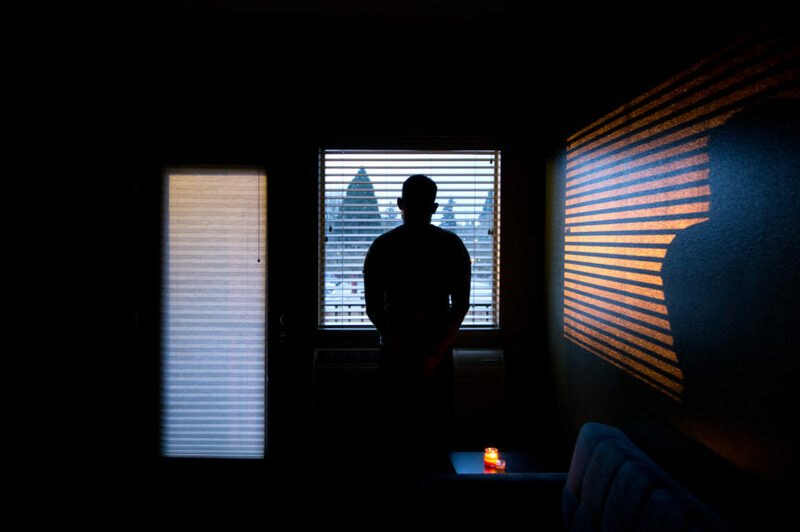 Van Dreal says he has worked with more than 1,000 kids since helping create the threat assessment program in his Oregon school district — and has rarely seen it fail. NPR Senior Producer Rebecca Davis produced the audio version of this story.